Matthew Shafran is a former felony prosecutor for the 15th Judicial Circuit in Palm Beach County. 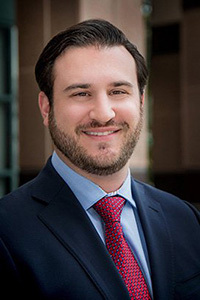 He began his legal career while still in law school as an intern, and soon after graduation he earned a spot among some of the most skilled attorneys in the State Attorney’s Office in the Felony Trial Division. There he handled a plethora of cases, ranging from third-degree felony offenses to some of the most severe first-degree felony charges. Shafran earned his bachelor’s degree in criminology from Florida State University’s College of Criminology and Criminal Justice. After graduation he attended Nova Southeastern University’s Shepard Broad Law Center where he earned his juris doctor in 2012. He began his hands-on legal experience while in law school, serving as an intern at various institutes.